Saturn Valley Online has been around for quite a while now – if you haven’t heard of it before, check out the site here. You remember Saturn Valley Online I assume. I wonder if you could do a shoutout to the EB community that we’re urgently looking for a second C# programmer. Darkfrost is currently doing all the coding work at the moment while I’m busy adding content (maps, npcs, …). The Earthbound battle system is almost finished but there’s a bunch of ‘easier’ things that still need to be coded and with just one additional programmer things would go so much faster. At the moment we’ve got Earthbound replicated up to Lilliput Steps with more content coming in the next couple of weeks/months. 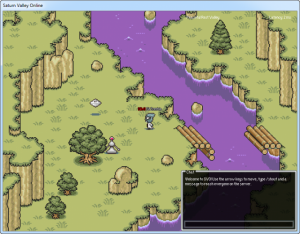 So if you know C# and want to help with this EarthBound-themed MMORPG, head over to their site! Love the project, but I’ve afraid that there’s not much I can do to help. Curse me and my bachelor of arts! I’ve been a Mother fan since October and had no idea this existed. I’m on Starmen.net every day and I still never saw this. Well, at the very least, this is something I didn’t know about. It’s Earthbound-related, anyway, but I find that EB is more of a single-player experience… Although maybe epic PvP PSI battles could be pretty awesome, but it would have to be done right since the HP meter scrolls and all. Mato, I sent you a couple of E-mails the other day. Either you’re busy or you’ve seen them and TL;DR’ed them. XD Either way is understandable, I actually do my best to keep things brief. Haha! Haha, don’t worry, I’m usually at least a week behind on my e-mails, I’m terrible at keeping up with it. I’m glad you found the Reshuffler stuff so interesting, that sense of enjoyment and discovery is why I made it 🙂 I’ll look into that bug with the Welcome letter in battle sometime, I’m hoping it’s just an isolated thing that doesn’t happen for everyone with regularity. Well, this is something new. Though I doubt this will change Nintendo’s point of view, it’s a welcome addition to the Earthbound Community. @Ness: We don’t advertise it on Starmen.net, at least not until the update with the battle system is released. @Buster: Yup, it’s not going to be easy changing the EB world into a multiplayer experience but that’s why we also created a whole new world. @posiedien if you know c++ you can learn c# in like a week. I know c# but I have EXAMSSS and I know nothing about this project either. Might as well have a look. Nope they need people with experience hehehe. I’m still a student. Don’t necessarily need people with tons of C# experience. When Darkfrost started programming SVO he didn’t know a single thing about C# and now he’s quite good at it. 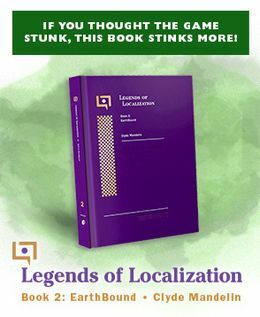 You can see it as an opportunity to learn more on the language while creating a cool Earthbound game. Just wanted to report that the link on the image is broken — there’s one too many “h”s in the http part. What’s the current status of this?